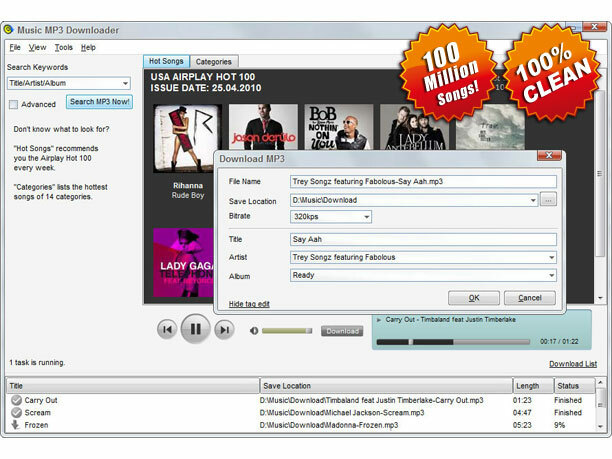 You can listen to over 100 million songs online for free and try the searched results to decide which one to download. Besides, you can do advanced search by title, artist, album, and edition. You can even choose specific edition of live, piano, guitar or cover etc. to search. Music MP3 Downloader is compatible with any portable device: iPod, iPhone, PSP, PDA, cell phone, etc.